Schmetz Brand Machine Needle. 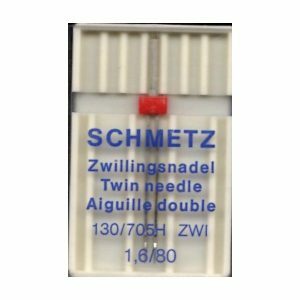 Universal Twin Machine Needle by Schmetz – 1 per pack. Twin needles are used for practical sewing and decorative sewing such as pintucks, seam finishes and topstitching etc. The size of the needle is measured in mm from tip to tip (6mm needle has a 6mm space between the points). Available in many types and sizes. Note: Twin Needles Should be Used at Reduced Speed.